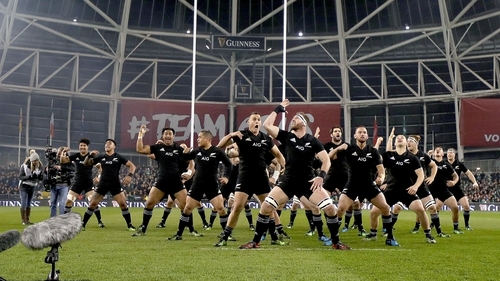 Here's how you can follow the Ireland's highly-anticipated Test match with New Zealand in the Aviva Stadium on Saturday evening. On TV with RTÉ television, online via RTÉ Player, radio commentary on RTÉ Radio 1 and on your mobile device with RTÉ News Now, there are no shortage of ways to access the game. RTÉ.ie has previews, features, live TV and radio streaming, player and manager interviews and a live blog to keep you right up to date with events in Copenhagen. Daire O'Brien will be joined by Brent Pope, Eddie O'Sullivan and Stephen Ferris from 6pm on RTÉ2. Daire will hand over to match commentators Hugh Cahill and Donal Lenihan for the 7pm kick-off. Clare McNamara will get all the views pre and post-game on the pitch. In an extended Saturday Sport, which begins at 2.45pm and runs all the way to 9pm, Joanne Cantwell will present coverage from the Aviva on RTÉ Radio 1. Commentary comes from Michael Corcoran and Bernard Jackman. Paddy Wallace, Lynne Cantwell and Shane Byrne will analyse in studio. Damien O'Meara will report from the sideline.